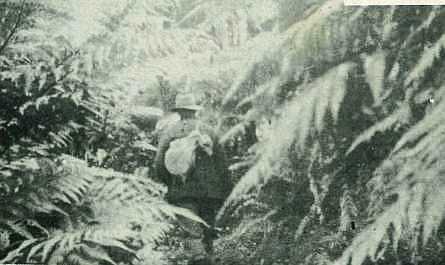 The disappearance of a nine-year-old boy, Peter William Boland, son of Mr and Mrs Neville Boland, of Avon-dale, Auckland, who went missing on the farm of Messrs K. Woods and C. Innes-Smith at Oponae, near the upper end of the Waioeka Gorge highway, during a school-holiday visit to the farm, completely mystified the large force of searchers who came from far and near to assist in the search. 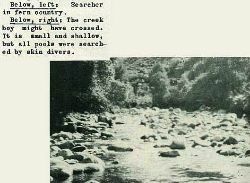 Efforts to locate the boy were eventually abandoned. Pictures by Mr G. Balloch, who led one of the search parties, show locality where the boy disappeared. Messrs Woods and Innes-Smith were out looking for a horse. 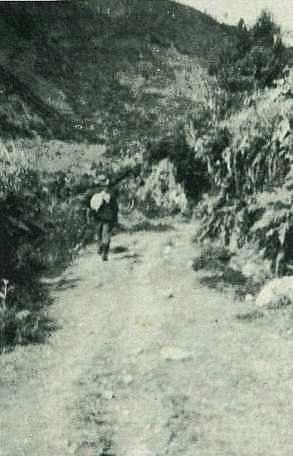 The boy went part-way up hill at left with Mr Woods when the horse was sighted. He was told to return down hill, and inform Mr Innes-Smith, who was around behind the pine-trees in the picture above. 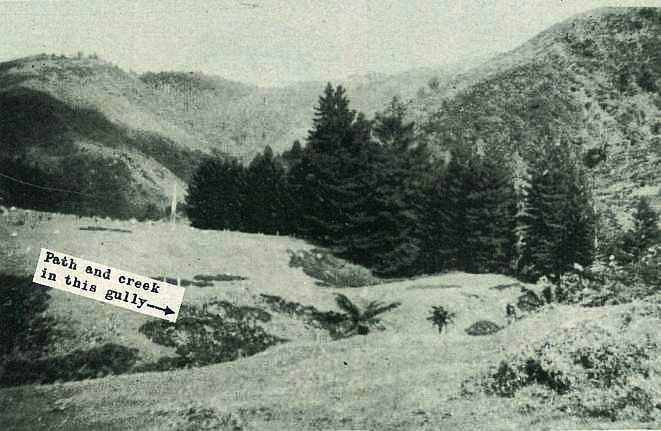 Boy descended hill on to open ground in foreground of picture above, would then likely follow track which runs in creek gully. 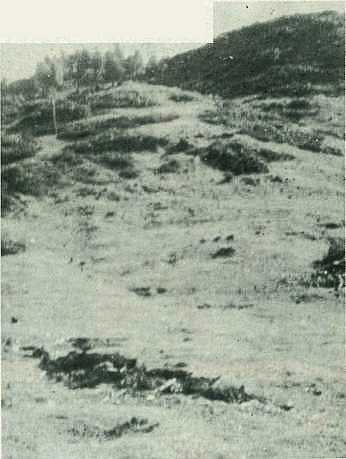 Although Mr Innes-Smith was only a few hundred yards away, and the track (right) is a good one, the boy was never seen again. The creek boy might have crossed. 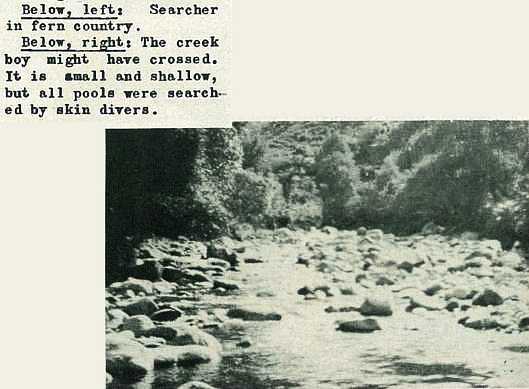 It is small and shallow, but all pools were searched by skin divers.